We know that running social media accounts can be really difficult. We want to make this process easier for you. Which is why we created this list of the best social media management tools, software and mobile apps to save you a lot of time and effort. Unfortunately, Tweepi does not allow you to post tweets directly from the tool. The emails you receive are automatically turned into social updates and published on your social accounts. This is a social media management tool with an intuitive UI. 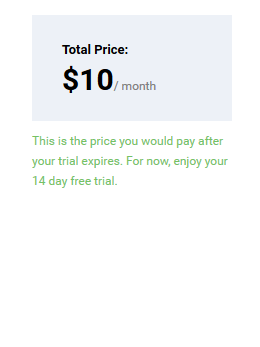 The free trial requires a credit card. 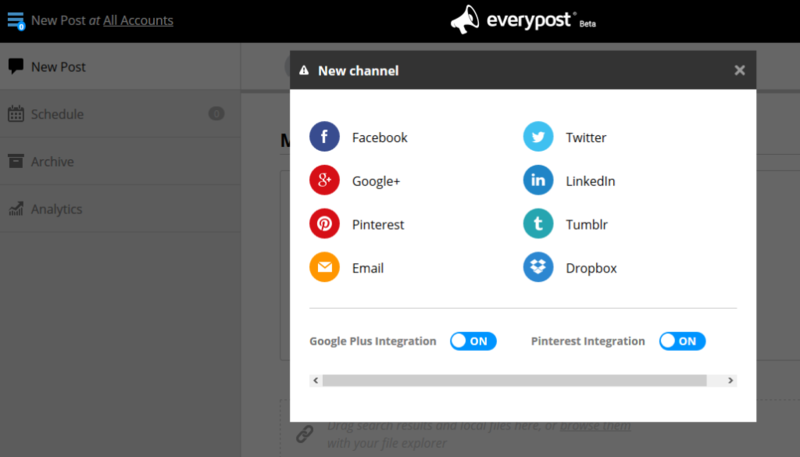 Everypost allows posting and scheduling content. 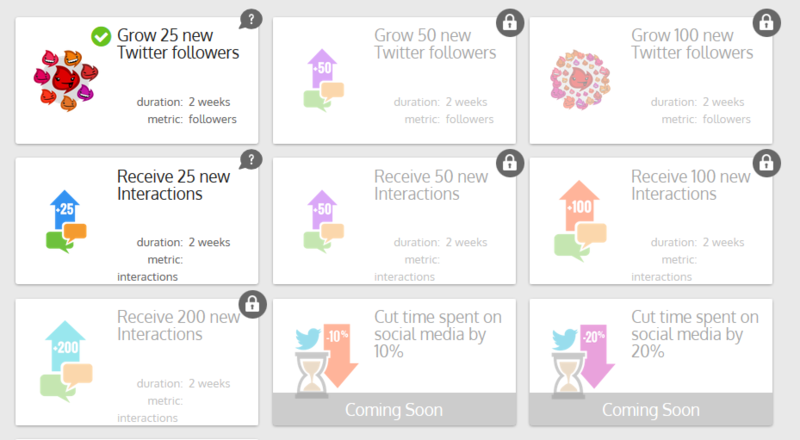 Social analytics is coming soon. The service offers up to 50% discount for non-profit organizations and educational institutions. 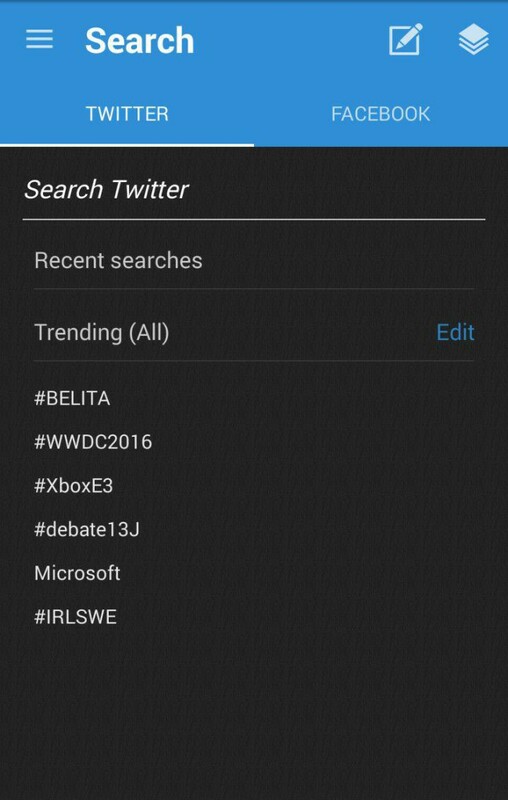 Choose your topic of interest and follow the related content. 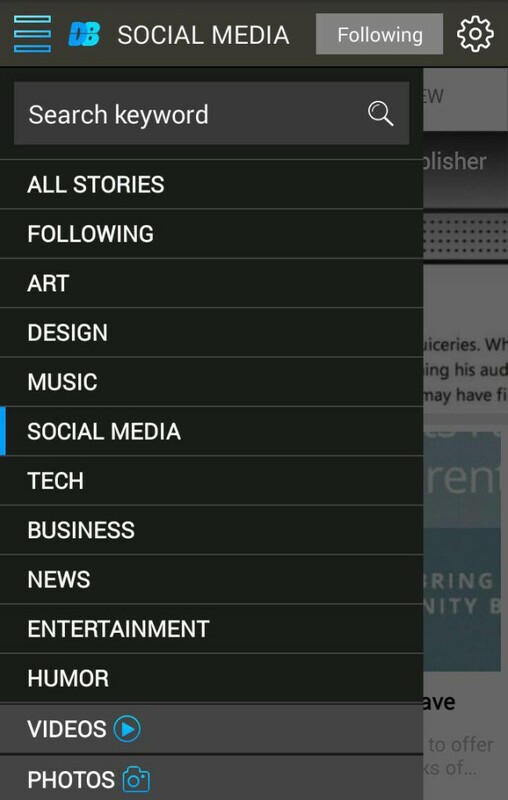 You can also connect your Feedly account. 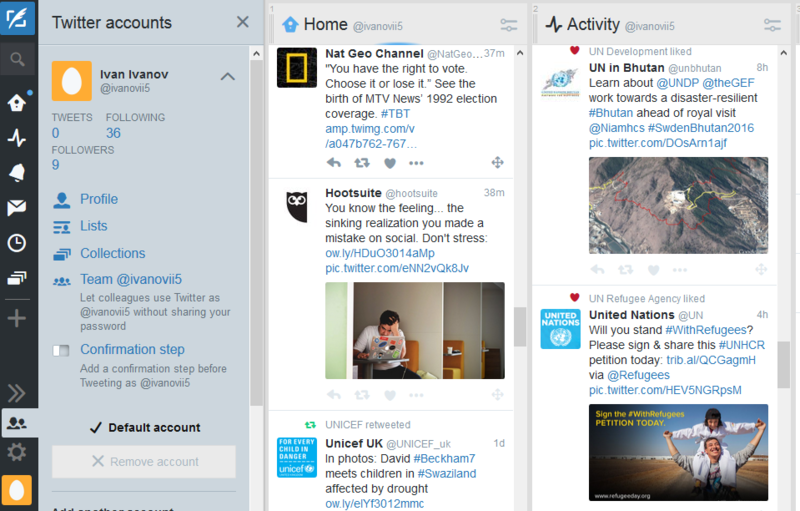 This is one of the best social media management tools for Twitter owned by Twitter itself. 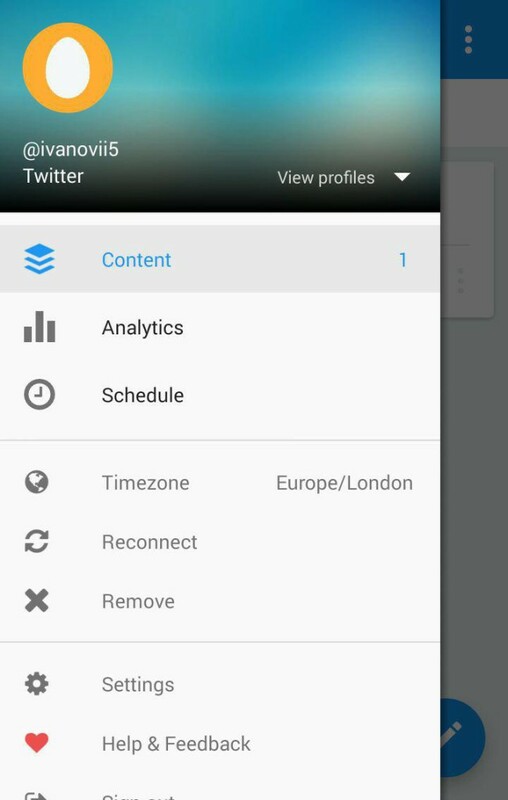 It allows managing multiple accounts, posting and analyzing tweets. No registration needed, simply login with your Twitter account. 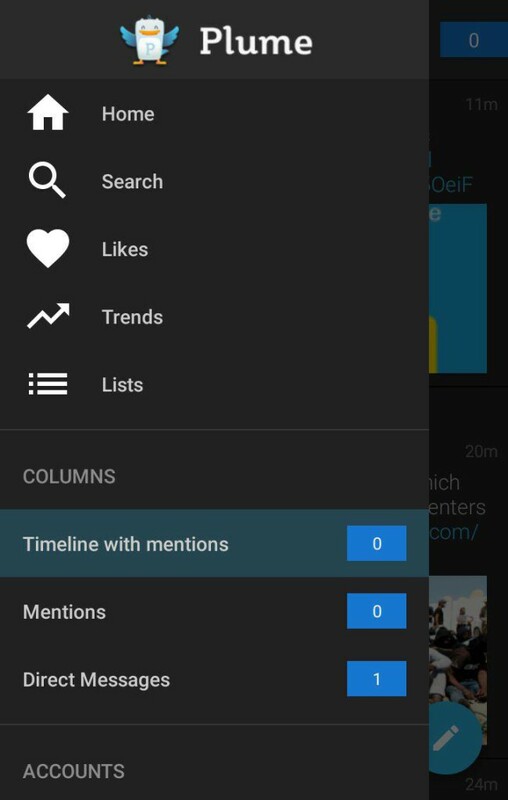 You can also create lists, collections, allow your colleagues use Twitter without sharing your password, and add a confirmation step before tweeting. 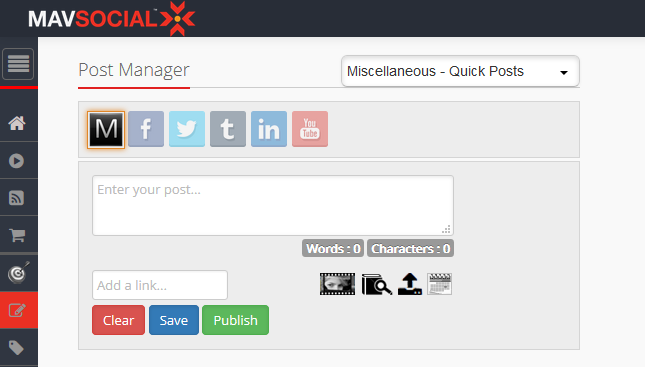 If you want to manage all your social media posting needs in one place, have a look at eClincher. Besides the 11 supported social media platforms, it is integrated with Canva and Giphy. With eClincher, you can also monitor your conversations, hashtags, followers and followings, create and save custom search feeds. You can accomplish all your social media responses (liking, answering, friending, etc. 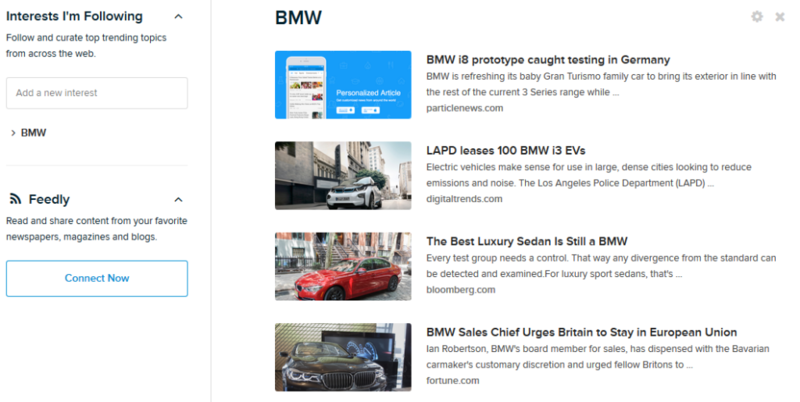 ), analyze your accounts, collaborate with a team, share Pocket articles across all your accounts, read all your messages in social inbox, and of course, post, schedule, queue, and auto-repost. 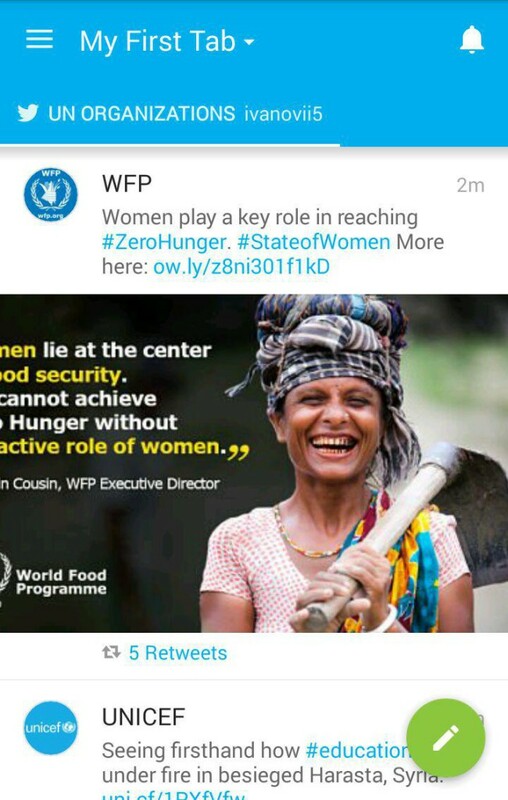 When all new content has already been used, Auto Post reuses saved old content. Sometimes marketers miss important holidays or events that they could use to capture their audience. This is pain for any marketer, especially in B2C segment – to generate posts ideas and support them with visuals. 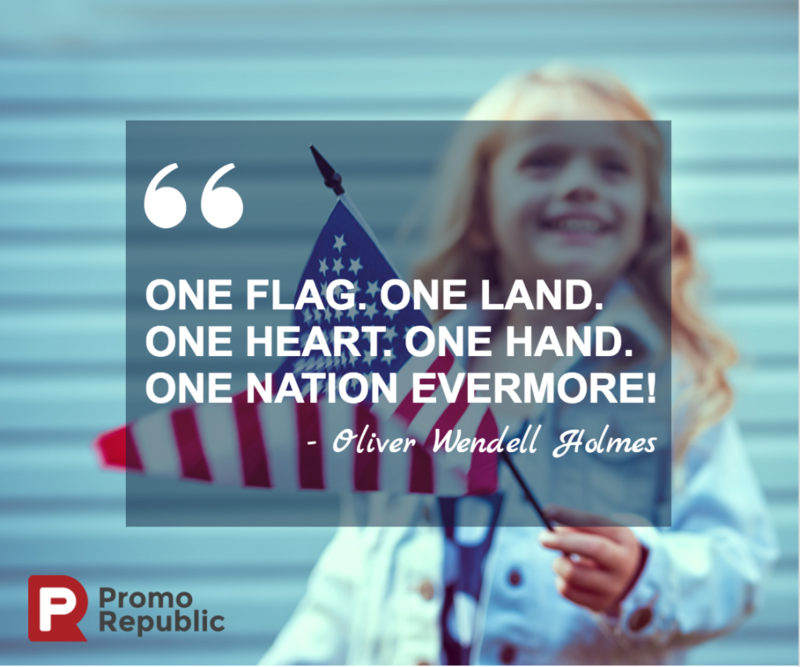 PromoRepublic solved that problem created the tool that notifies about all the important days you can use in your posts. This social media marketing tool daily offers you several occasions based on holidays, trends and other ideas to post about. Every template is handcrafted by professional designers and copywriters. 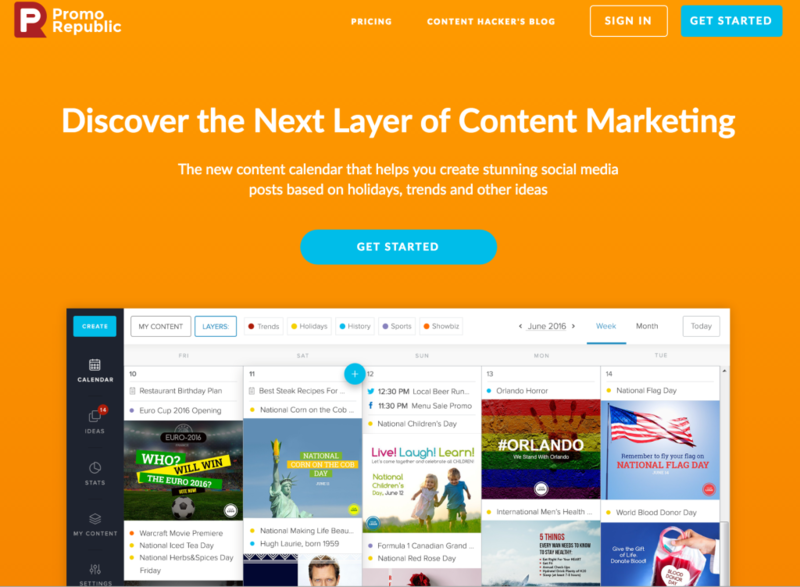 Templates library – this is the only content calendar with social media library, which consists of approximately 2k post ideas for about 25 industries, including polls, promotions, quizzes, links, and trending content. 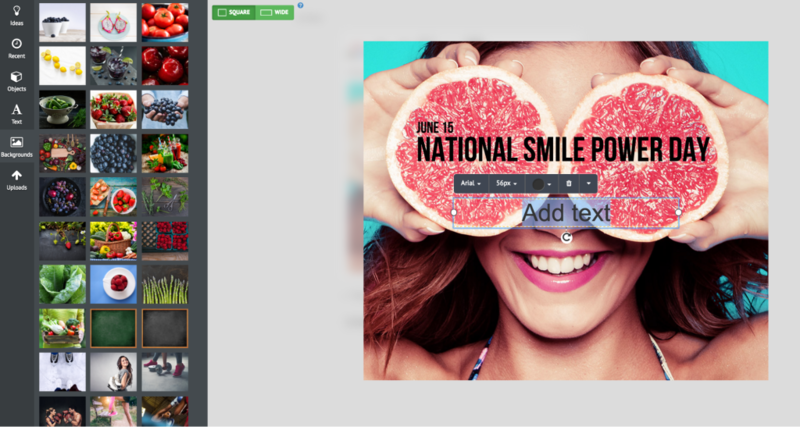 Graphic editor – the tool lets you customize your image in a few clicks. 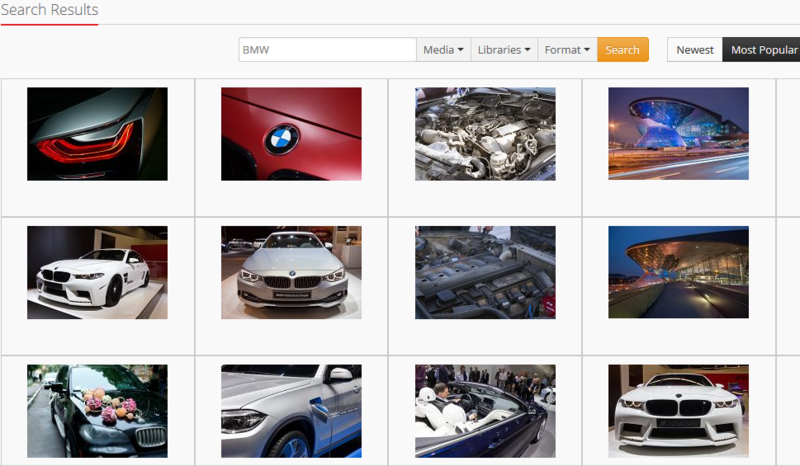 Use the app’s library to choose a proper element or upload your own one. 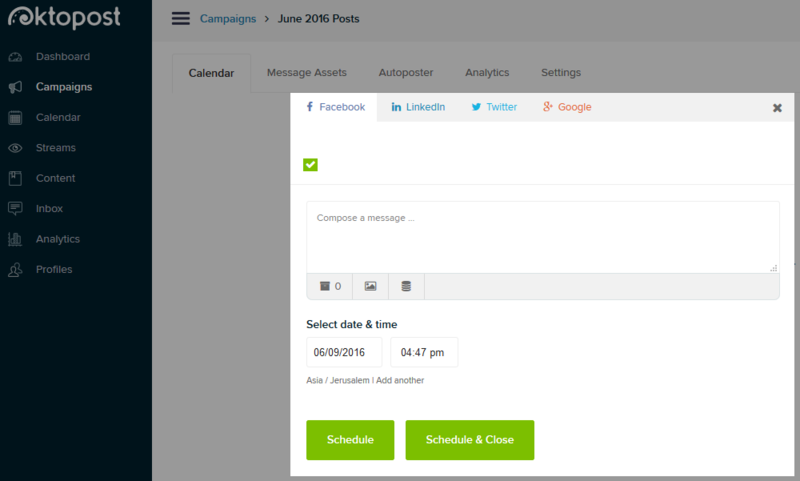 Posts scheduling – easy manage your campaigns. 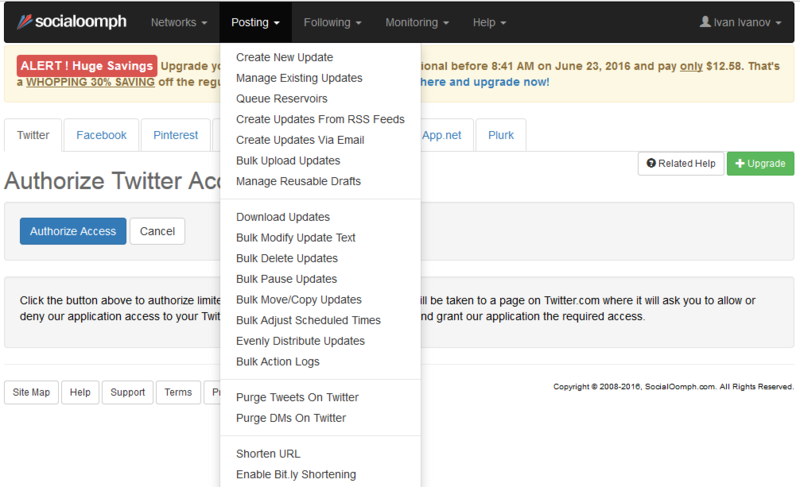 In the “ADD TO QUEUE” settings you can make the everyday schedule, at which time the posts should be published. On default, all days of the week are marked. You should add the time of post publications. Statistics – analyze your posts by checking views, clicks, external links visits, and posts efficiency. This social media management tool lets you customize your social media connections and pay only for the ones you really need. After registering via Facebook, you need to choose the networks you need and name the projects. Next, choose the add-ons. You can expand your keyword search on Instagram, YouTube and Twitter, monitor Facebook pages, or follow Twitter accounts. 5 handles and 5 keywords cost $5. The basic plan with two team members (you and one other person) costs $5. After that, connect your social media account for the chosen project. You can choose 7 social networks in one project. 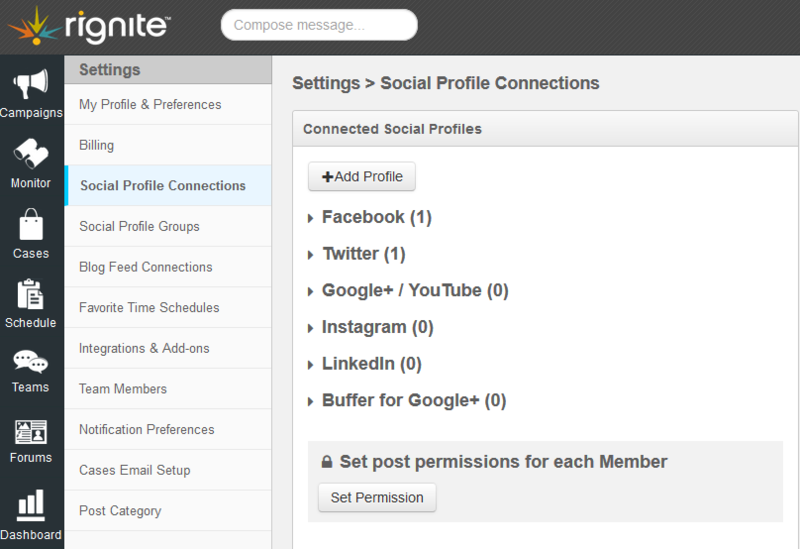 If you want to manage multiple social networks of the same kind, you need to create a new project. Done! 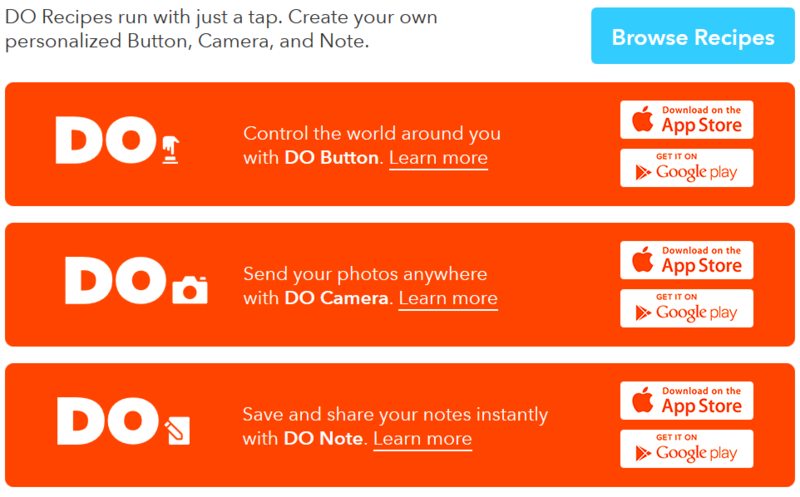 Now you can freely manage all your social networks in one place. 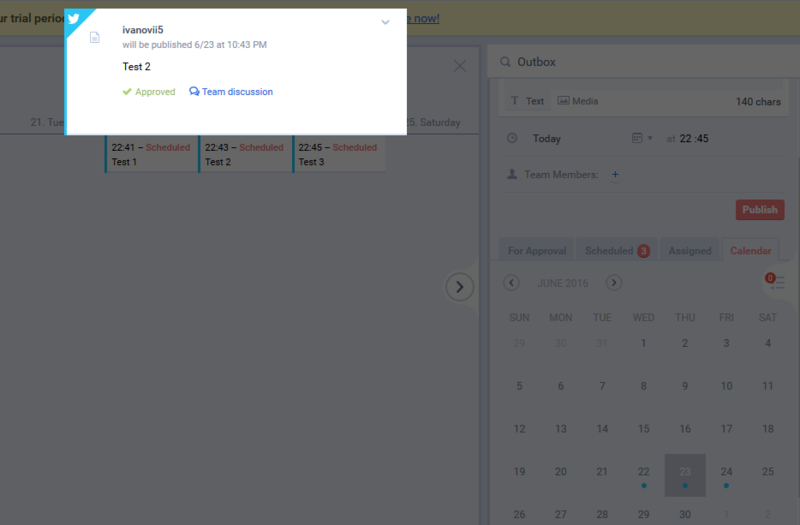 Check the inbox, published posts, plan, schedule, assign, and approve posts, and check your activity in content calendar. Meshfire is a candidate for one of the top social media management tools for Twitter. 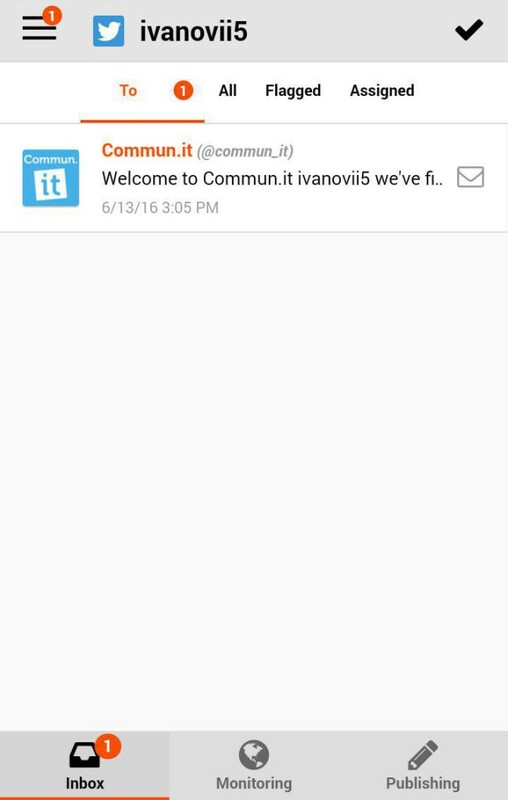 To sign up, you need a Twitter account. A free limited account is available. The pro subscription costs $15/month per social profile ($9 if billed yearly). After signing up, choose a goal and a category for your account’s goal. 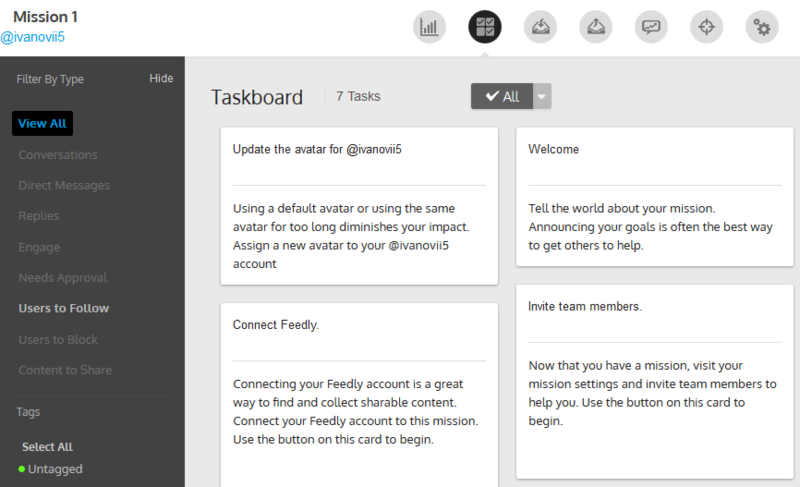 The service will define several tasks to start with in the taskboard. 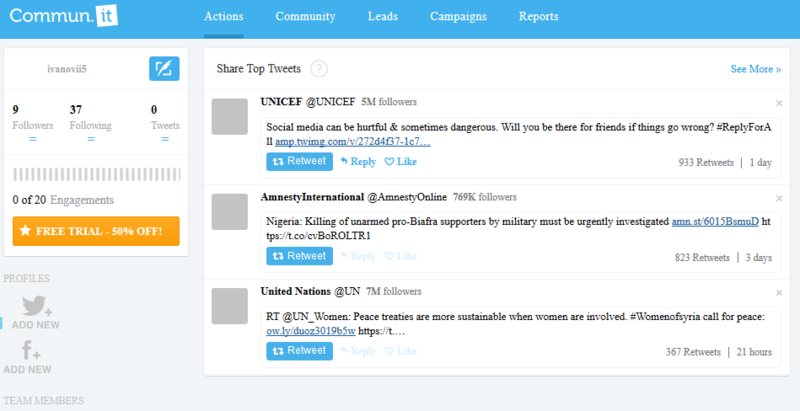 The tool is not quite intuitive, but pretty effective for social media marketing Twitter campaigns. 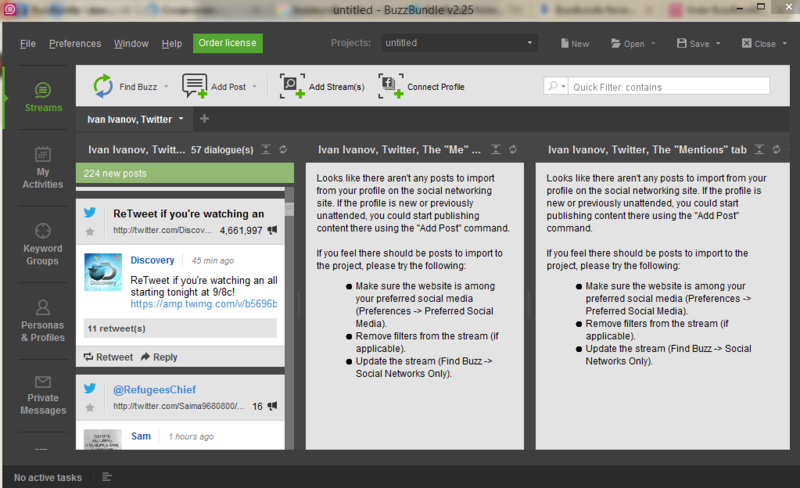 This is one of the top social media management tools with Tumblr integration. Not every tool has Tumblr integration! It is intuitive, convenient and has a free plan, which is good for small business. 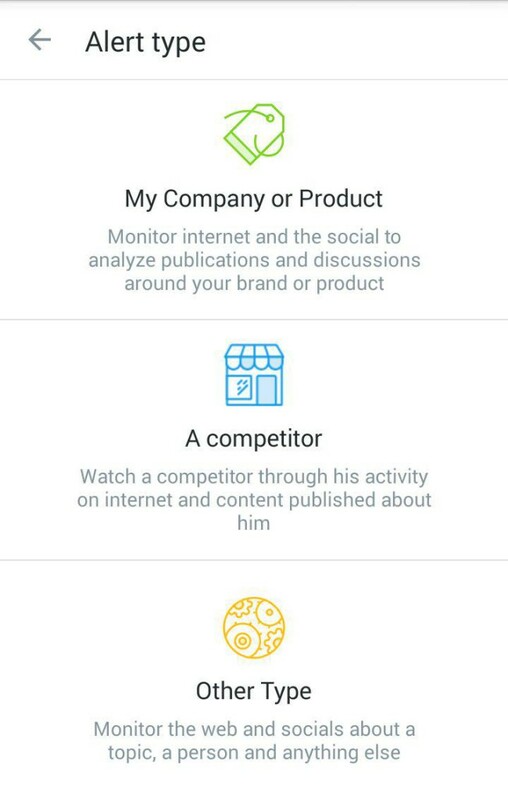 Sendible also analyzes social media posts and highlights the ones that requires urgent attention. 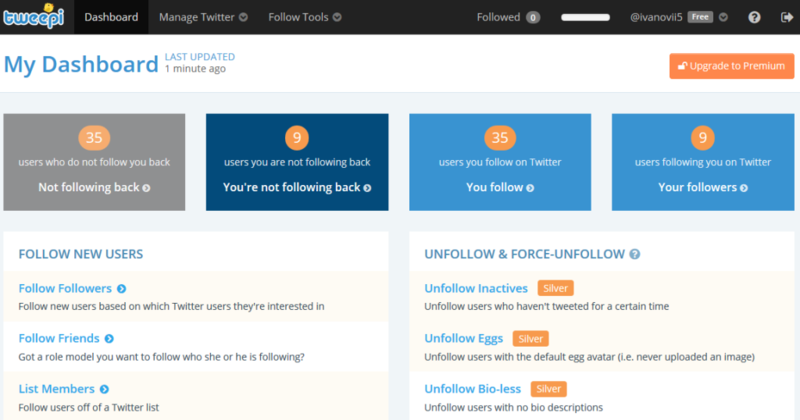 Free subscription is available for this Twitter management tool. If you want to start a 14 day free trial, you will need enter credit card info. 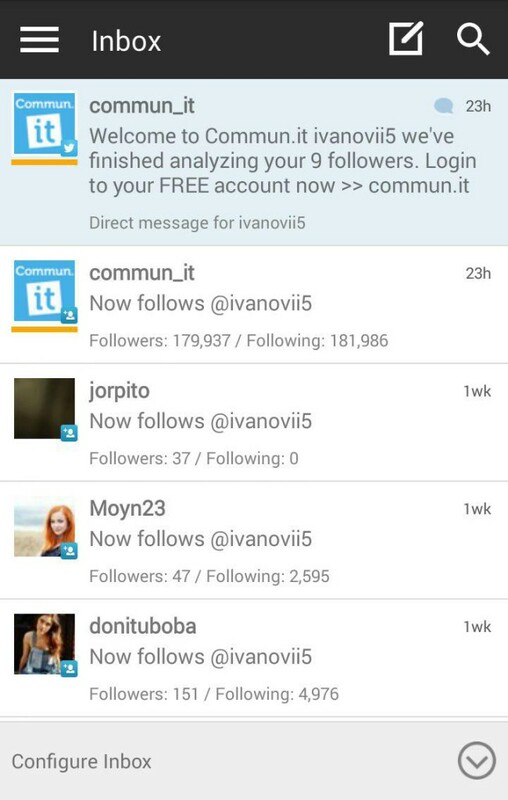 Commun.it is for analyzing followers, monitoring leads and items, creating activity and engagement reports, customizing groups, identifiying influencers, prospects, and supporters, establishing connections, building relashionships, engaging with important people. 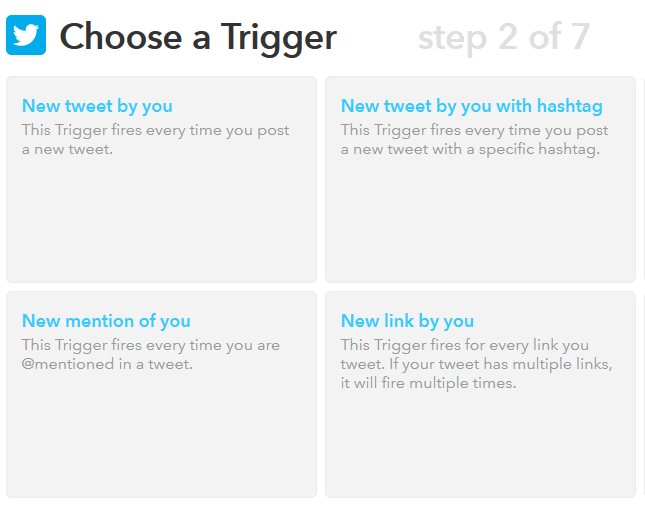 Overall, this tool will help to keep in touch with the most important tweets first and never forget about all others. The tool is free, but if you want to store more than 15 GB, you will have to pay $9.99 – $199.99 per month. 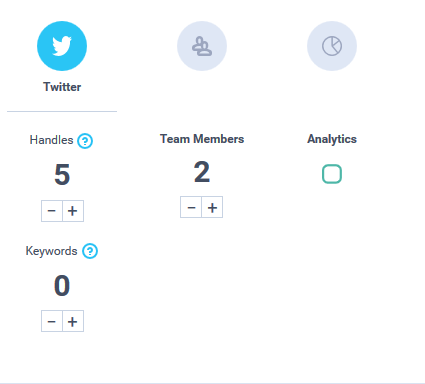 DashBurst is an easy-to use and absolutely free social media management tool for posting, queuing and scheduling, analyzing social media activity (simple analytics like posts, comments, like, etc. ), creating drafts, and exploring popular content. Desktop social media management software is becoming less popular nowadays because web apps offer the same services but less problems with downloading, installation and data storage. 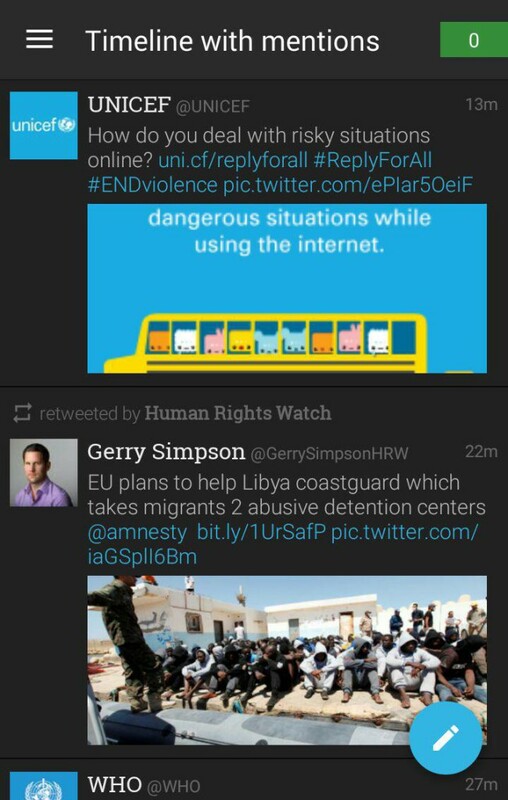 However, there are still some old-fashioned apps, which are pretty useful and convenient. 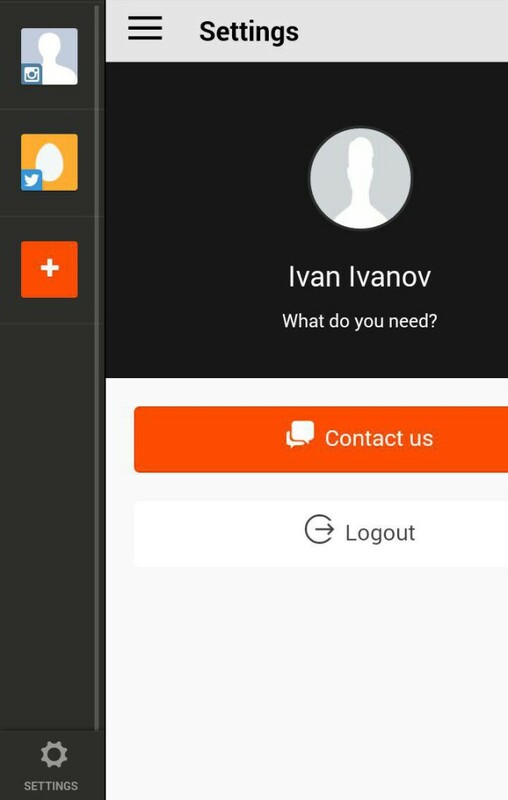 This free social media management software is available for Windows, Linux, Mac, Portable USB version) and browser app (Firefox, Google Chrome (beta)). Installer size is 16.7 MB. 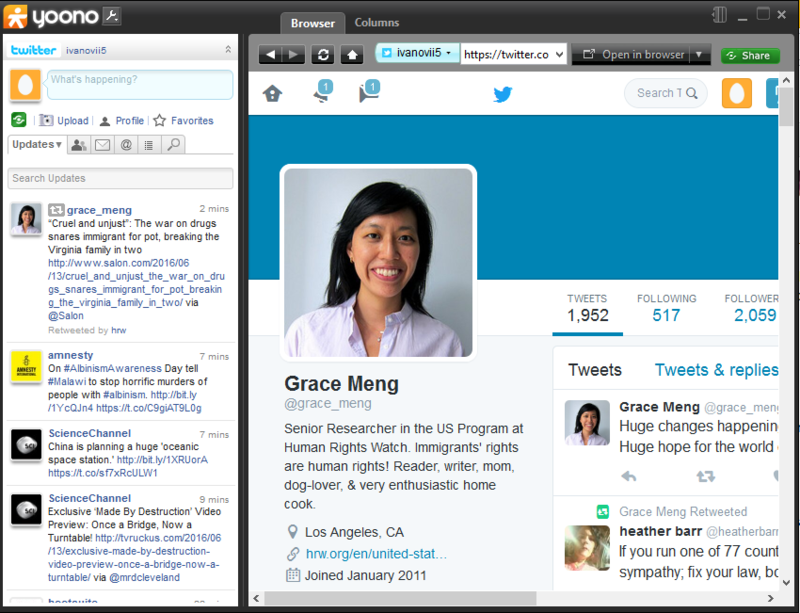 It consists of two parts: the left one is for social accounts management, while the right one is customizable. 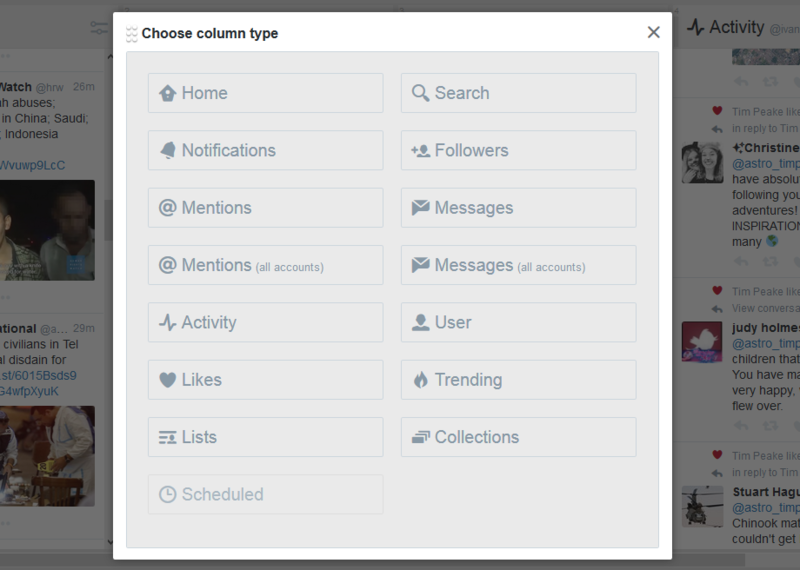 You can choose it be either an in-built browser or columns to show you social media account info. You can choose as many columns as you need. Yoono allows you to stay connected to all of your social networks without opening browser, updating your status across all platforms in one place, sharing content, and staying notified of the latest updates and messages via pop up. 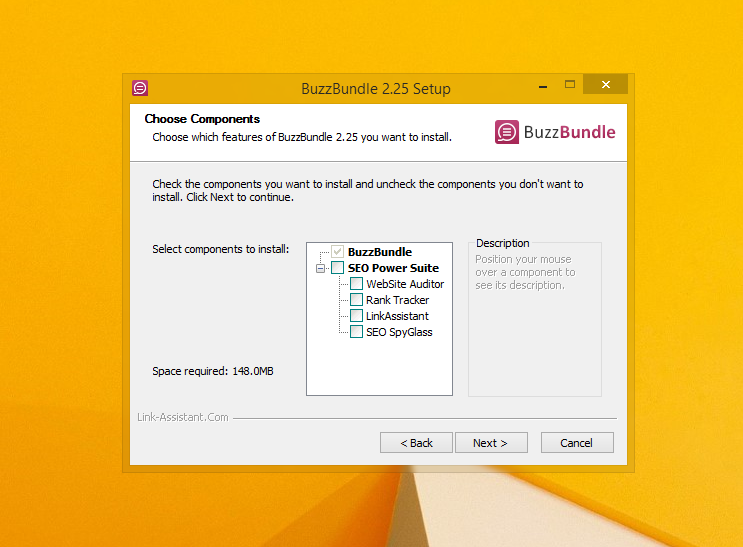 BuzzBundle is a desktop software for social media management and automation. Available for Windows, Mac and Linux. The free licence is limited; it’s kind of free trial with no end date. The installation package size is 138 MB. When installing the app, choose the components you need. The majority of users access social media via smartphones. So, why don’t you manage your Facebook, Twitter, LinkedIn and other accounts via mobile social media management apps as well? Here are the best ones to do it. 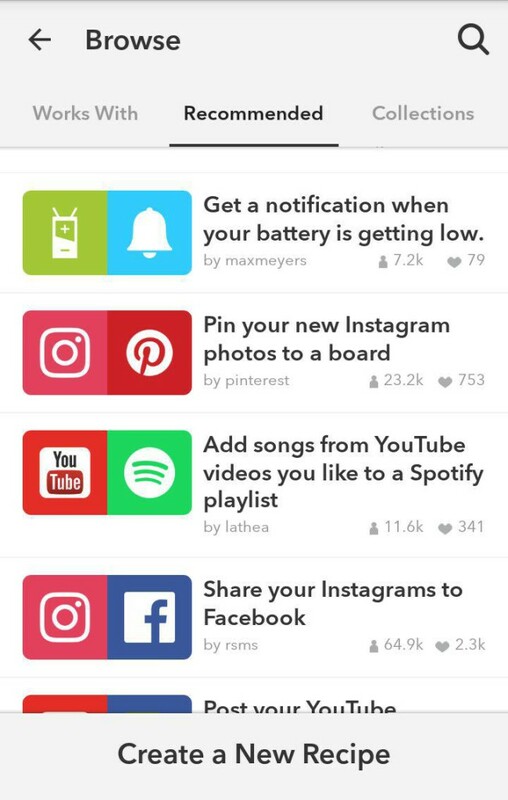 With IFTTT mobile app is as full as the web app + some additional smartphone features. 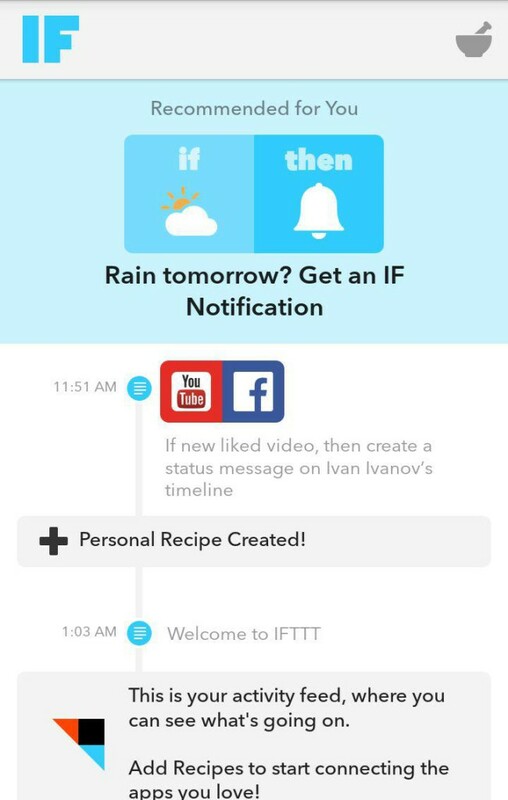 If you have already forgotten what IFTTT (“If This, Then That”) is, we will remind you that the app lets you create recipes to connect products and apps. For example, you want a specific post to appear on your Facebook every time you post a video on YouTube. With IFTTT it is all up to you to create convenient connections. Additionally, mobile app allows you creating smartphone-related connections (if your battery is getting low, then…). 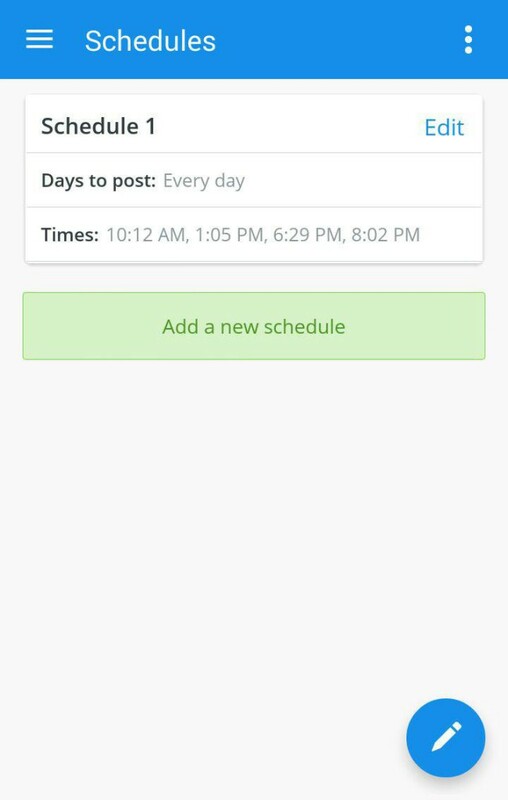 With Everypost mobile app you can schedule, publish and delete posts on Twitter and Facebook. That’s in free version. 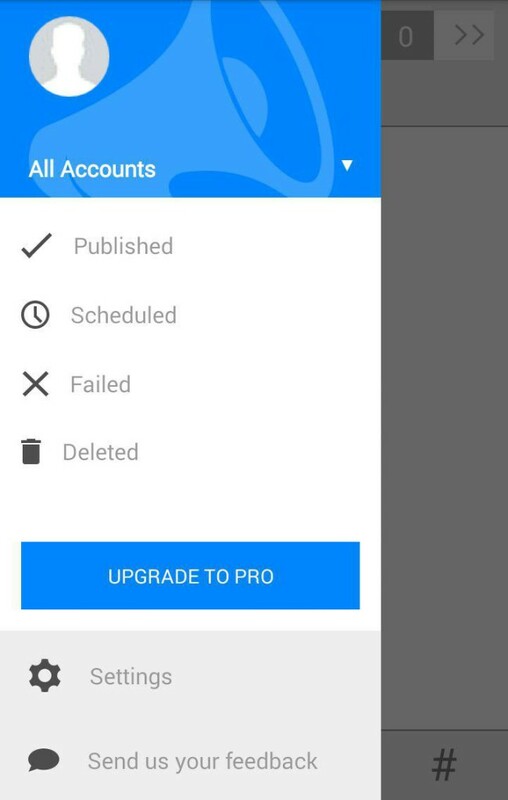 But if you upgrade your plan to Pro (you can do it via mobile app), you will be able to connect up to 10 social profiles including LinkedIn, Facebook, Twitter, Google+ and others. 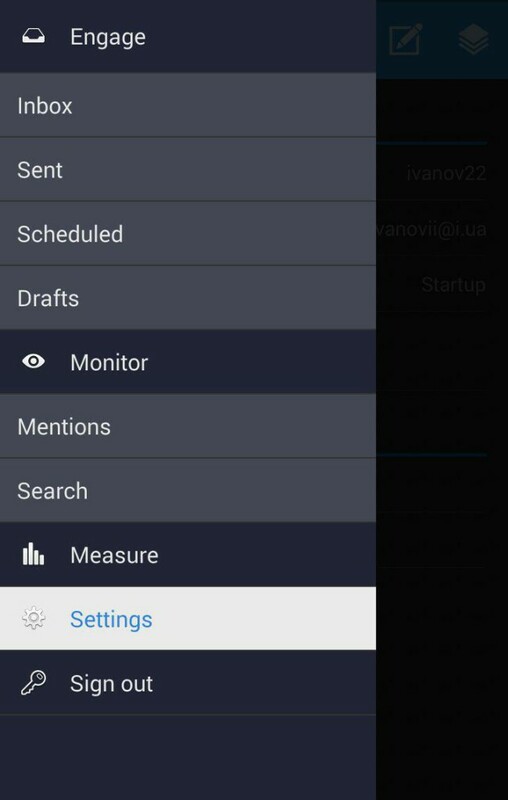 With this Twitter mobile management app you can search for tweets and people, monitor likes, trends, filter tweets by your lists, manage your account by switching between columns or adding new (timeline with mentions, mentions, direct messages, list, likes, search). 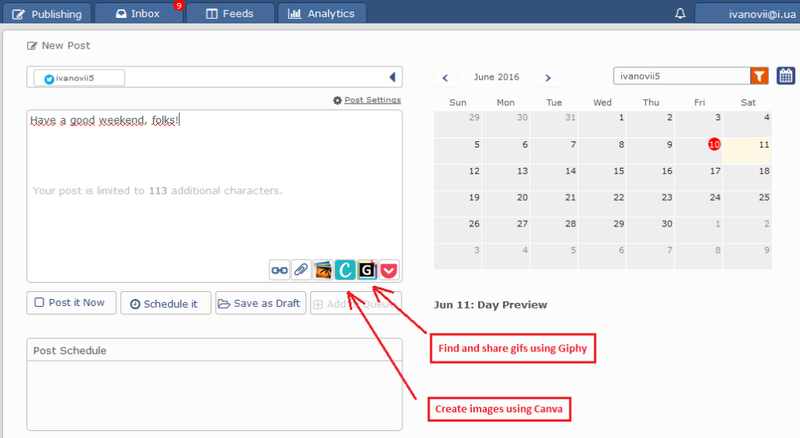 You can add a Facebook column to check your posts and publish ones. Paid version has no ads. This official app for managing facebook pages by Facebook looks pretty similar to Facebook app. 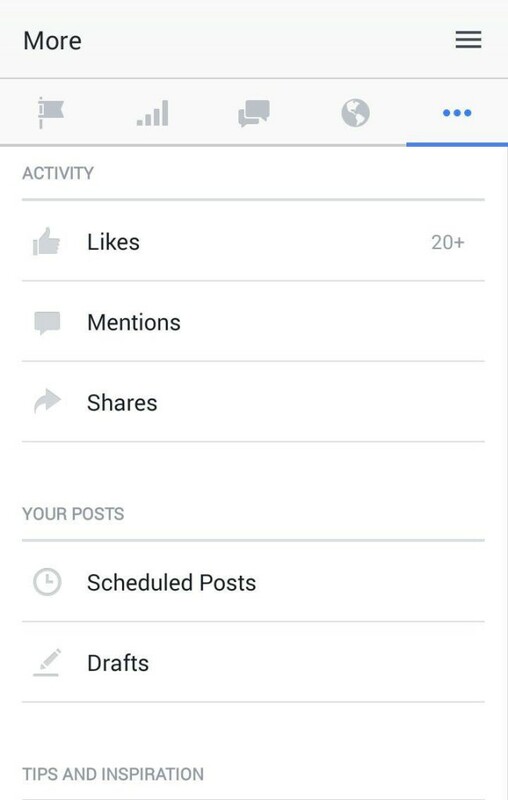 You can see the messages, likes, user activities, update status, and share images on the main tab. 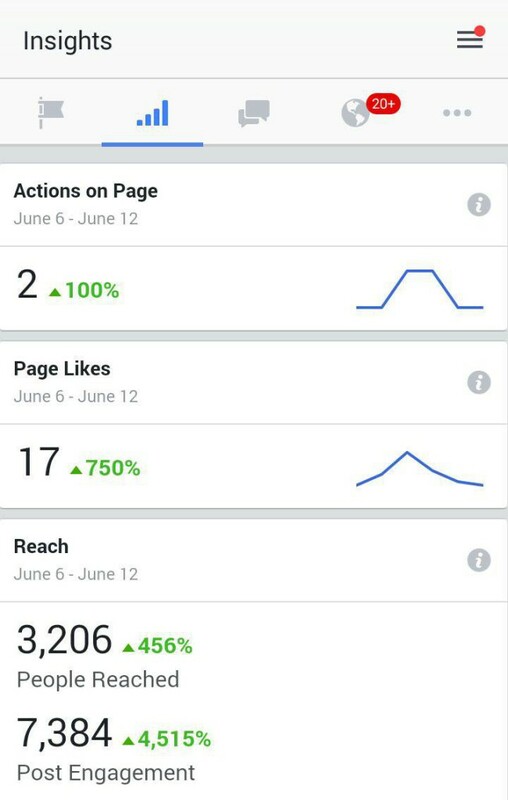 Analytics tab provides you with actions, reach, engagement, likes, and videos stats and graphs. 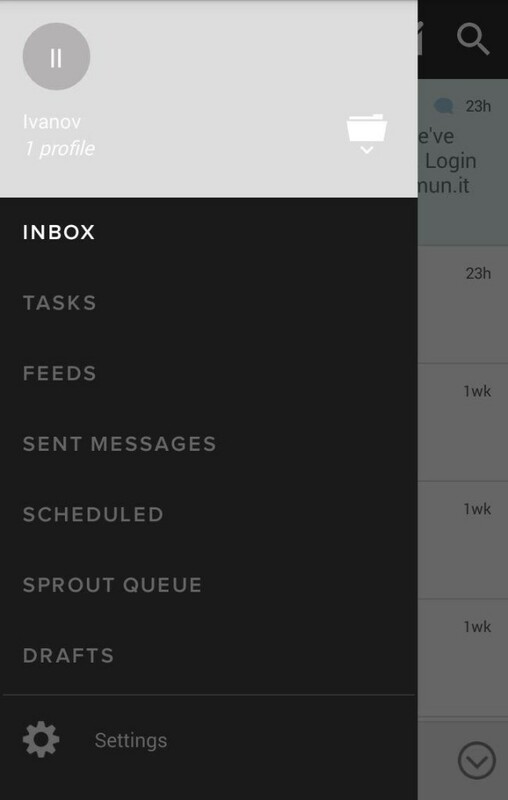 Messages tab lets you read and answer all your IM. 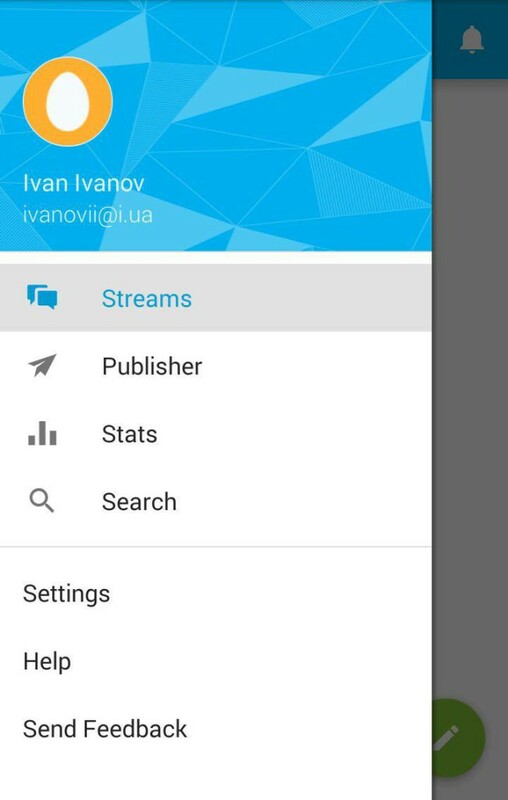 Notifications tab is similar to Facebook app one. More tab shows you in details who liked and mentioned your page, shared your posts, scheduled posts, drafts, photos, events, and page and messaging settings. 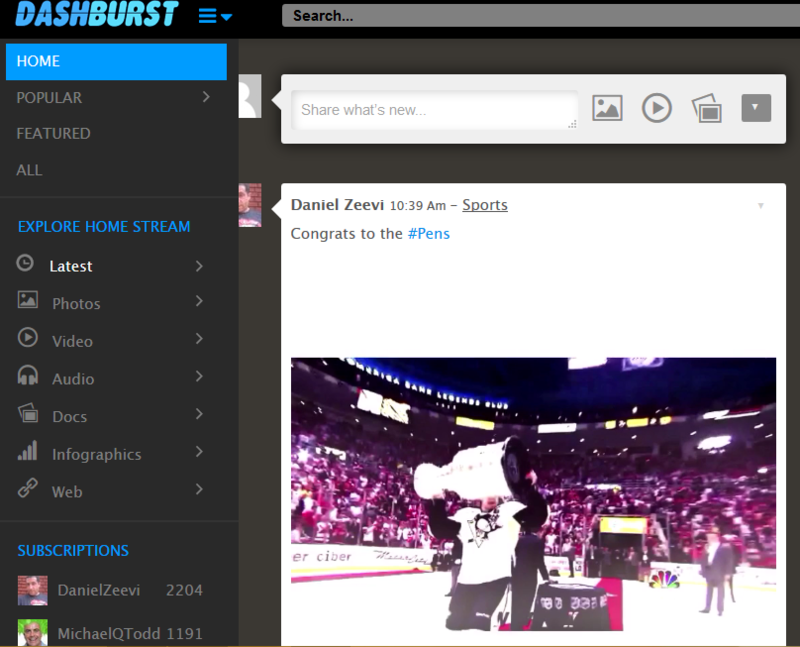 With Dashburst mobile app you can explore content all by categories and keywords, share it on your social accounts, and add comments to these posts. The list of supported social networks is a little bit different from web app. For example, if you find a nice tweet about your topic of interest, you can retweet, quote, reply or share it without leaving the app. You just need to authorize your social media account. 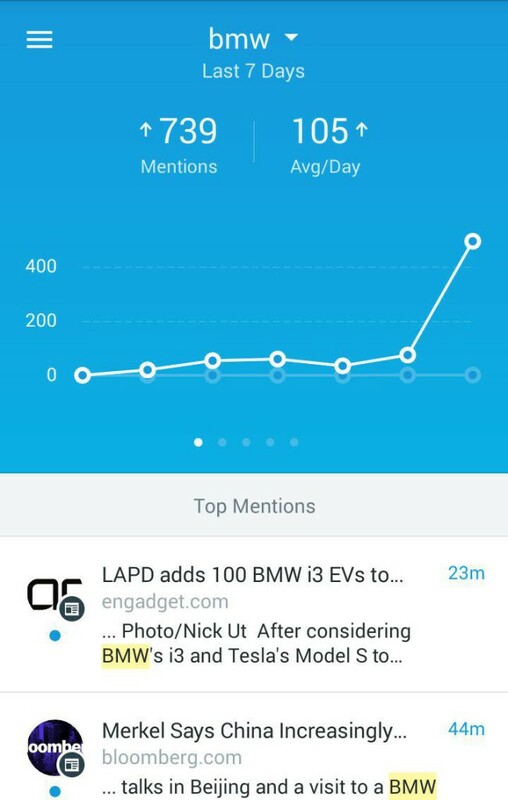 Analyze topics, sources, top mentions, sentiment and languages. With Pro (paid) subscription you can manage up to 50 social media networks, collaborate with team, access Pro features (enhanced analytics reports, bulk scheduling) and remove ads. 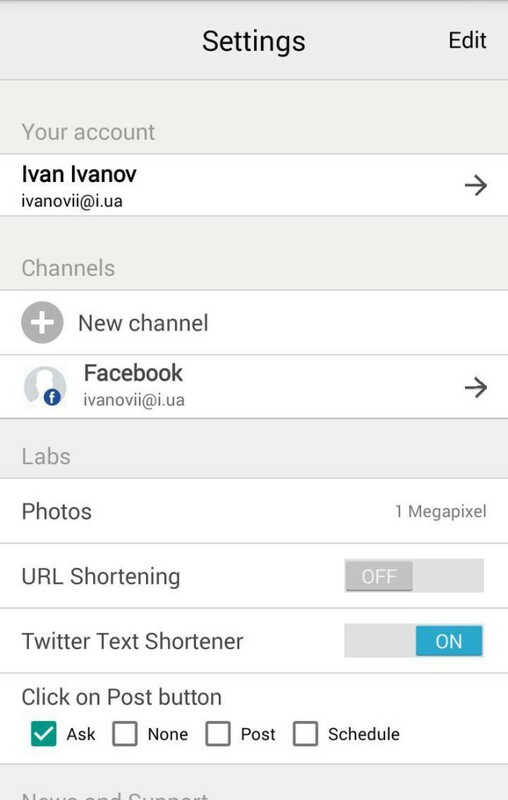 This is a mobile app to manage multiple social media accounts on the go. Paid Awesome plan unlocks RSS feeds, 100 posts, and 10 social profiles. More expensive plans have no additional features for mobile app. With Agora Pulse mobile app you can publish, queue and schedule on Twitter and Facebook, check social media inbox, and monitor your posts. It is very simple and intuitive. We did not include some social media editorial calendars in this list because we have already reviewed them in our article 7 Social Media Planners for Marketers that Will Halve Your Working Time. 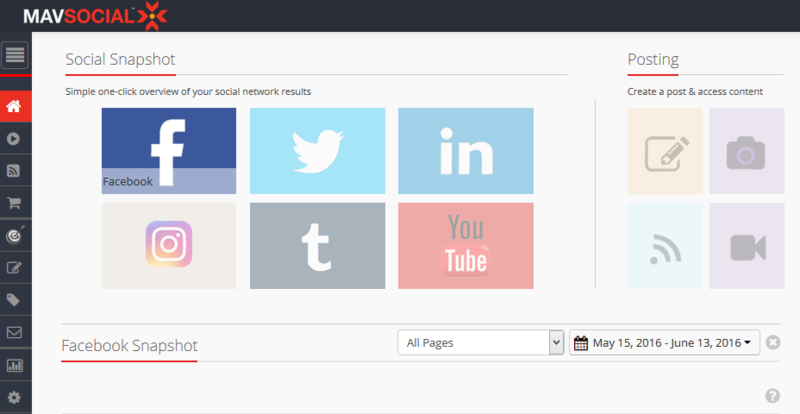 These 7 tools are good for managing social media as well. In case you need to analyze your social media activity, check out some useful tools in the article 25 Social Media Analytics Tools that Will Actually Show You the Truth. Note that you are always welcome to share your thoughts below. If you want us to review some other tools or apps we have accidentally missed, please, name them in the comments and we will add them ASAP. Max is a passionate SaaS entrepreneur who is on a mission of connecting professionals, SaaS companies, and startup hubs to help them form long-term relationships and sustainable win-win partnerships. Max is splitting his time between Kiev, Helsinki, and San Francisco. Current challenge: Connecting angel and institutional investors, co-founders, best talent and partner companies across 3 countries (UA/FI/US) to make PromoRepublic.com venture succeed at global scale. Prior to co-founding PromoRepublic, Max worked 10 years in marketing agencies, being responsible for business development, digital marketing, and sales. Co-founded digital agency New Strategies Group and acquired accounts Kimberly Clark, Danone, Philips, Ferrero, Johnsons&Johnsons, Henkel to name the few. Fields of expertise: startups, strategic business development, enterprise sales, branding, digital marketing, fundraising. Thanks, Ronald. We will check it out.